When the Columbus Blue Jackets made the move to acquire Nick Foligno from the Ottawa Senators in exchange for Marc Methot, general manager Scott Howson was making a calculated move. Despite Methot's popularity among the Nationwide Arena faithful, Columbus had a glut of defensemen and a need for point-producing forwards. By all accounts, that's exactly what 24-year-old Foligno has become. The Buffalo, N.Y., native increased his point total over each of his four full seasons in Ottawa. In 2011-12, Foligno scored a career-high 47 points – 15 goals and 32 assists – despite playing mostly on the third line during the regular season and competing for minutes with prolific scorers Jason Spezza, Milan Michalek and Daniel Alfredsson. "We're excited about Nick," Howson told reporters at the time. "He's a versatile forward coming off a career year. Where he fits will be up to him, but certainly we see him really contributing. He'll increase our competitive level and he can play virtually every forward position." 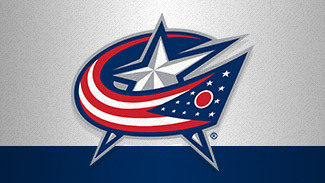 The Jackets signed Foligno to a three-year, $9.25 million contract, making it clear he would be a critical cog in a Columbus attack that finished 26th in goals last season. With the trade of Rick Nash later in July, Foligno's importance as a producer became even more pronounced. After seasons in the Senators' supporting cast, Foligno told reporters he was ready for a starring role in Columbus. "There are going to be some ups and downs, but I'm definitely looking at myself to fill in that offensive role and be a contributor on a nightly basis, and be a solid all-around player," Foligno said when he signed. "It's definitely something I pride myself on and want to be able to do. Hopefully, surrounded by the right guys, I can bring that to the team." However, reservations exist about Foligno's leading-man credentials. Of his 15 goals, four were empty-netters. He also led the Senators with .68 secondary assists per 60 minutes, which suggests he's not directly responsible for as many scoring opportunities as 32 assists would suggest. Despite these questions, Foligno is certainly an asset. A physical presence, Foligno had 87 hits last season and a career-high 124 PIMs. His effective shot, puck possession and playmaking skill are undeniable. Importantly, he has grown adept at goalie interference. With potentially an expanded role among the top six in Columbus, Foligno will have ample opportunity to exhibit his gifts. His transition will be aided by an American-heavy attack, including Cam Atkinson, R.J. Umberger and Brandon Dubinsky. Defenseman Jack Johnson is also there, a player Foligno has grown up with in the U.S. National Team Development Program. "I can't say enough about how happy I am about the opportunity I'm getting here in Columbus," Foligno told reporters. "(Johnson) is a great talent and a good friend. I got to know him at a young age, and I'm sure I'll get in touch with him in the next little while here." While Foligno is happy with an expanded role with the Blue Jackets, his ability to capitalize on that role will be critical come October.